And while we don’t know an exact date for the opening of the Disney Skyliner project, it looks like this project is progressing nicely as Disney has not only been testing out components of this transportation system after hours, but has also been beginning to run “test” gondolas in and out of the Disney’s Hollywood Studios station. And just a few days ago eagle-eyed guests at Epcot noticed that Gondolas were moving on cables in and out of the still under-construction International Gateway station at the rear of the park. 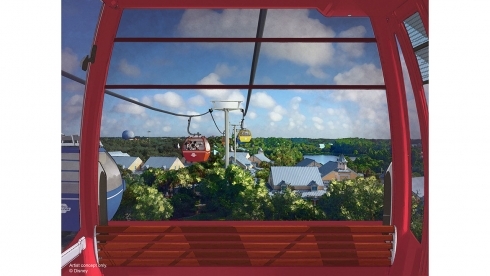 In addition, Disney Skyliner cabs have been seen going in and out of the Caribbean Beach resort station as well. So with all of these tests going on, could we be looking at an opening of this new system sooner rather than later? Things are looking good, but don’t expect an opening date announcement just yet. Though it looks like the functional and mechanical parts of many of the Disney Skyliner stations around Walt Disney World are up and running enough to conduct tests with this new transportation system, the guest areas of these stations are far from finished. Both the Epcot and Disney’s Hollywood Studios stations have only the slightest interior work done, and it will easily be several more months at least before these stations are ready for guest use. Infrastructure around these stations (sidewalks, lights, etc. ) will also need to be installed, which will also take some time. And through we’re not expecting an opening for Disney Skyliner any time soon, we think we know when we’ll be finding out more. As you might already know, this summer will bring the bi-annual D23 conference back to Anaheim from August 23-25. And while we are expecting a lot of announcements concerning Walt Disney World to come through this convention this year, including opening dates for Star Wars: Galaxy’s Edge at Disney’s Hollywood Studios, Mickey and Minnie’s Runaway Railway, and perhaps even the new Guardians of the Galaxy roller coaster, tucked in between these major announcements, we are also expecting Disney to reveal when their new Skyliner system will be open. And if Disney is indeed targeting a late 2019 opening for Star Wars: Galaxy’s Edge, we’d guess that we are looking at a fall opening date for the Disney Skyliner, so Disney can get this new transportation option ready for guests before the opening of this blockbuster new land. Though we’ve been surprised by many of the developments regarding the Disney Skyliner project (including the revelation that Skyliner cabs would feature Marvel characters as well as the unfortunate news that Disney Skyliner cabs would not be air-conditioned) it looks like this project is continuing to move along, with testing continuing to happen around the resort. 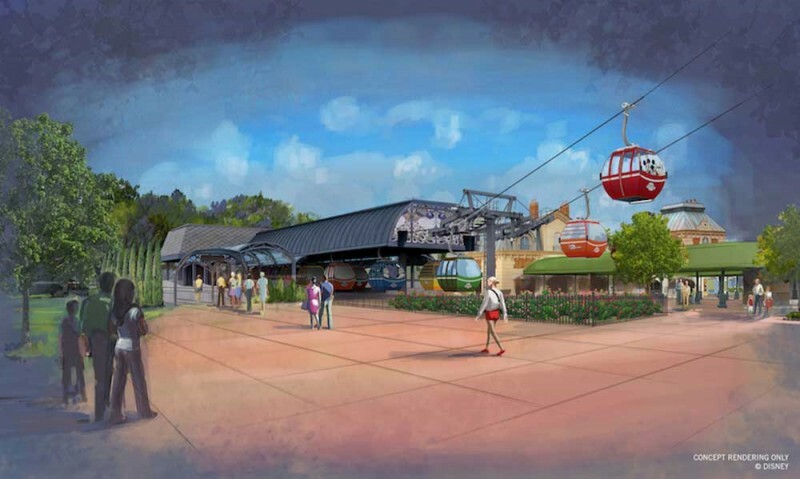 And while we’re not expecting this new transportation to open before the middle of the year, it seems almost certain that we’ll be able to ride the Disney Skyliner sometime this fall, right before the opening of Star Wars: Galaxy’s Edge! Are you excited to check out Disney’s newest transportation system?